The time by time can change everything from history, same with sports, teaching, culture, and rules. Taekwondo has been found in 19 century in Korea, back that time Taekwondo it is just Korean boxing, people they create this kind of martial arts just because they have to protect them-self and their families. The Sports historian found bunch of the wall paint in cave, on trees. i found the image here. After a long term period Taekwondo break the traditional way and culture,it slowly became an international sport and exercise. In 2000, Taekwondo is officially been add into part of the Olympic program, and many different people from many different country and places are also learning Taekwondo. It also changing into the business and career, it isn’t traditional culture anymore. Forever change history by having someone, or something different happen in a moment. 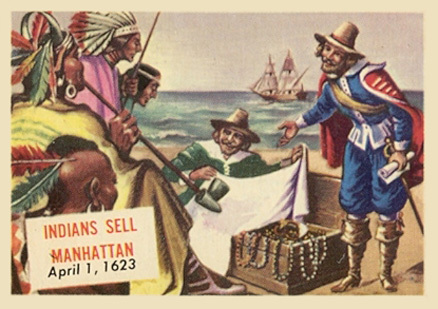 Find an image to illustrate the momentous change, and add a quote to it. 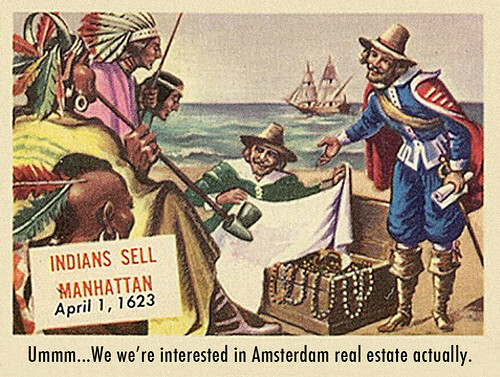 Here’s an example where the Lenape get a better deal from the Dutch on the sale of Manhattan island.